Find yourself with some lovely green edamame and don’t exactly know what to do with them? 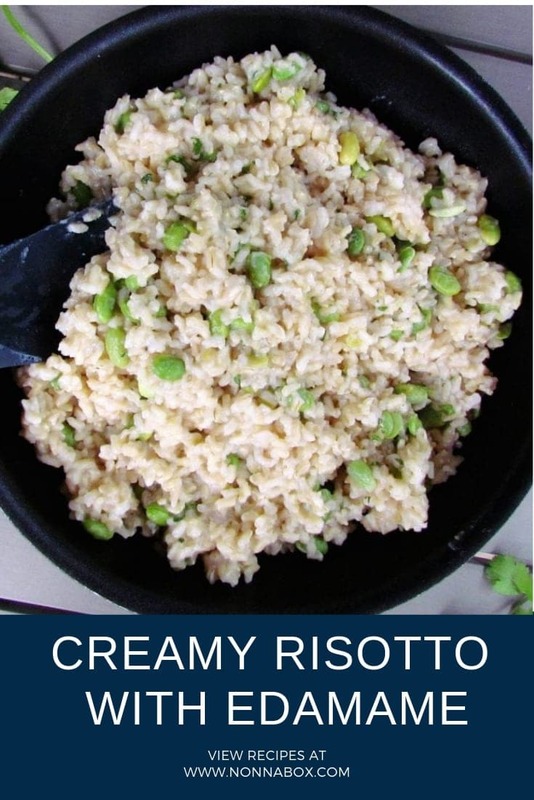 Well, how about making a bowl, or two, of creamy risotto with edamame then? But before we get right down to business, let us first find out what edamame is all about. Nope, it’s not a type of French or Italian cheese, but are green immature soybeans that have been blanched usually while still inside their pods. They are usually used in Hawaiian and Asian cooking, particularly Chinese, Japanese, and Korean cuisines. 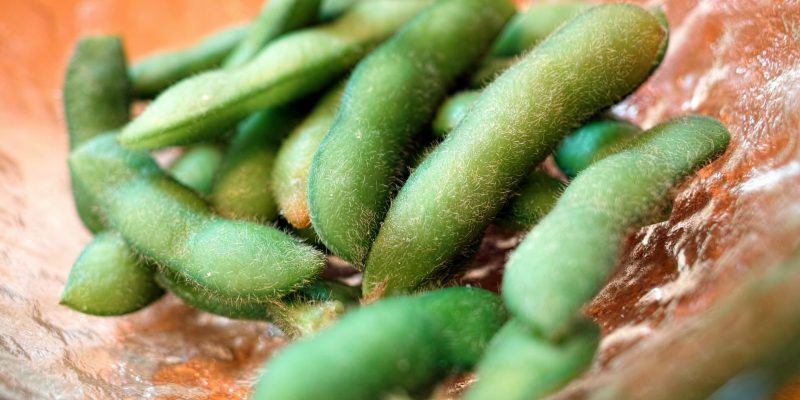 The name “edamame” is actually a Japanese term. It is a compound name that literally means “stem bean.” Actually, the Japanese word eda means “stem” while the mame part means “bean”. The origin of the name is probably because the peas used to be sold with the stems still attached to the pods. Although, the word “edamame” itself usually refers to the dish, which consists of soybeans that have been steamed and seasoned with salt. Eventhough the word “edamame” is fairly a recent addition in English dictionaries, there’s actually some evidence that the term go way back to the 13th century. They say that the name was found on a thank-you note that a Japanese monk wrote to a patron for the gift of soybeans. And not just the name, but also the vegetable itself, there are traces of it during Medieval China. In the 15th, the soybeans were eaten during times of famine. And in the 17th century, they were used for medicinal purposes. A great source of protein, the usual way to cook edamame is by boiling, steaming, or cooking in a microwave. And it is typically seasoned with salt, which can be put in with the boiling water or after it is drained and before it is served. It can be served as they are, or with some other ingredients such as Italian grains or other vegetables. Now, if you get your hands on some fresh edamame, culinary experts say that they are best consumed immediately. According to them, the freshness degrades within 10 hours after harvest. However, if you store them inside the refrigerator, they can retain their freshness for up to three days. Even though edamame may be commonly associated with Asian or Hawaiian cuisine, it doesn’t necessarily mean you can’t add it to your classic Italian dishes. After all, cooking is an art, and art is always evolving. So if you manage to get your hands on some edamame, it may very well be a worthy addition to a plate of your classic risotto. And no, it is not the same as Risotto with English Peas. It’s an entirely different dish. 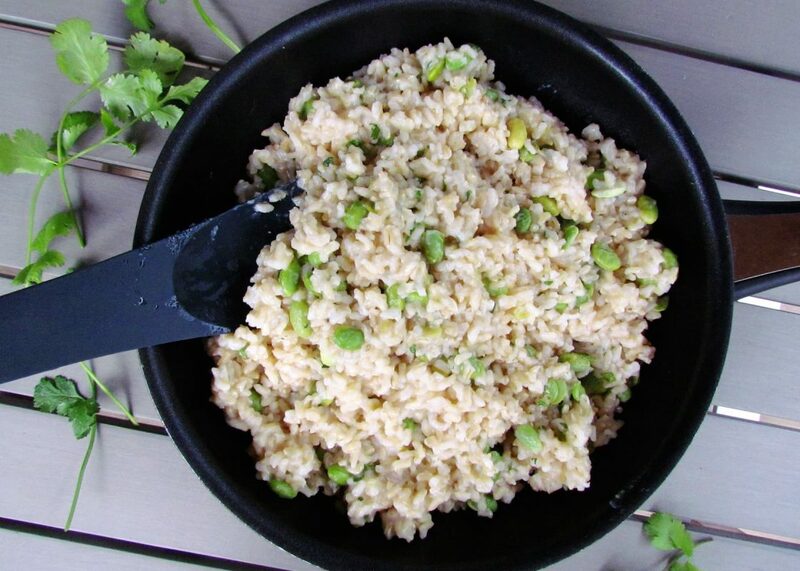 Now, get yourself a bottle of Prosecco, get those ingredients, and let’s start cooking that Creamy Risotto with Edamame. Bring the edamame to a boil in salted water and cook for about 5 minutes. Once the peas are tender, drain and set aside. In a saucepan, melt the butter over medium-high heat. Add the olive oil. Put the shallots and cook until softened, about 5 minutes. Add the rice and garlic. Cook for about a couple of minutes. Next, add the wine. Stirring constantly, wait for the liquid to almost completely evaporate. Then, start adding the broth, 1 cup at a time, stirring constantly. Wait for the liquid to reduce between additions. Continue cooking and adding stock until the rice is soft and the mixture is creamy, perhaps about 20 minutes. Add the edamame, season with salt and pepper, and top with Parmesan cheese. Btw, where I can buy risotto?